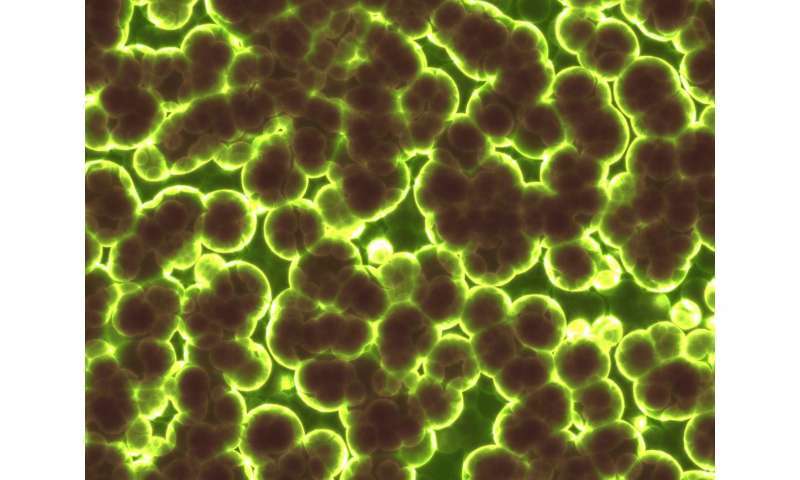 Antibiotic-resistant bacteria are a growing problem in health care globally. To prevent further development of resistance, it is important to understand where and how antibiotic resistance in bacteria arises. New research from Uppsala University shows that low concentrations of antibiotics can cause high antibiotic resistance to develop in bacteria. In the present study, published in Nature Communications, the researchers have investigated how prolonged exposure to low levels of antibiotics contributes to the development of bacterial antibiotic resistance. During a course of antibiotics, a high proportion of the antibiotic dose is excreted in the urine in unchanged, active form, and can then spread into watercourses, lakes and soil in the wastewater. Consequently, these environments may contain low levels of antibiotics. In some parts of the world, large quantities of antibiotics are used in meat production and aquaculture, where small doses of antibiotics are added to the animal feed to make the animals grow faster. This means that the bacteria in their intestines are exposed to low levels of antibiotics over long periods, and these bacteria can then infect people via food. In the paper, the researchers show that low concentrations of antibiotics play a major part in the development of resistance. The study showed that, over time, bacteria exposed to low doses of antibiotics develop resistance to antibiotic levels that were more than 1000 times higher than the initial level to which the bacteria were subjected. It was also found that the mutations in the bacterial DNA that cause resistance are of a different type than if they have been exposed to high doses. During the experiment, the bacteria eventually acquired several mutations. Each of these yielded low resistance, but together, they brought about very high resistance. In addition, the mutations took place mainly in genes that have not previously been regarded as typical resistance genes, suggesting that the number of genes capable of promoting development of resistance has been greatly underestimated. "The results are interesting because they show that the very low antibiotic concentrations present in many environments can lead to a high degree of resistance and contribute to the problem of resistance," says Professor Dan I Andersson, who headed the study.